Accenture Interactive Boss: Do CMOs Have What It Takes To Lead The Growth Agenda? 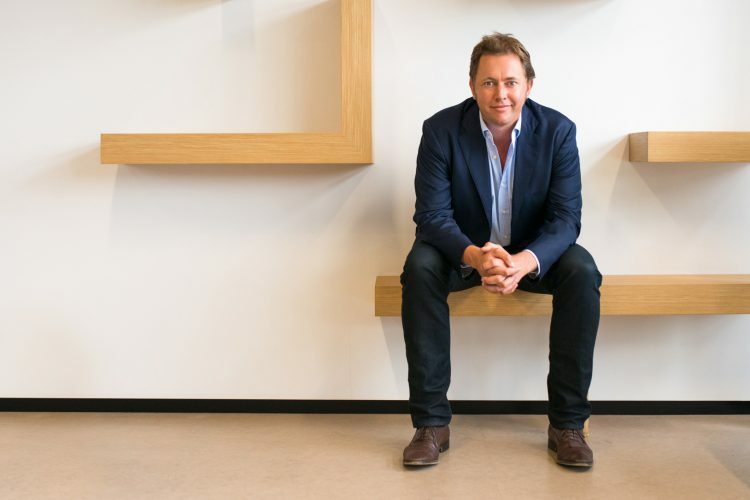 In this guest post, Michael Buckley (pictured below), managing director of Accenture Interactive in Australia and New Zealand, argues that CMOs have a golden opportunity to become chief growth officers, but risk being surpassed if they don’t grab it with both hands. Disruptive growth can mean many things to many people. In a business context, it means tackling innovations that have created a new market and aligning the business agenda accordingly, and securing opportunities for new value. As traditional sources of revenue become more elusive, brands are increasingly looking to disruptive growth as a key objective. In the midst of this increased pressure, a recent Accenture study revealed more than one third of CEOs are placing chief marketing officers (CMOs) in the hot seat when it comes to executing growth strategies. Given this pressure, it’s not surprising that CMOs are increasingly looking to take the lead in disruptive growth. It’s widely recognised that disruptive growth and digital are inextricably tied. CMOs fill a key role in the end-to-end customer experience and typically have control of many of the digital levers that drive disruptive growth. Industry leading marketers are making the most of all digital levers at their disposal; shifting business direction to align with customer and consumer demands. According to the study from Accenture, three in four CMOs say they already have either ‘total’ or a ‘great deal of control’ of digital levers that are critical enablers for disruptive growth. While this sense of control is reassuring and positions businesses for the future, digital capabilities are only one part of the disruptive growth journey. Disruptive growth requires new value propositions and partnerships as part of an expansive business platform. Microsoft’s transformation of Outlook took a simple email product and created a platform that connects users to third-party services such as Uber, Yelp and Evernote. Toy giant LEGO turned entry-level robotics toy Mindstorms into a software platform that brings more users into the brand’s ecosystem. In each case, these companies recognised disruptive growth opportunities beyond the scope of digital levers by focusing on the results created using those levers. Creating new platforms for growth is key to realising results, and these examples have leveraged a business model they already had to create a completely new model with far more profit potential. CMOs who can best articulate a disruptive growth strategy will make a natural transition to the emerging role of chief growth officer (CGO). This career trajectory has already been seen globally with the former CMO at Kimberly-Clark taking on the role of Kellogg’s CGO. Despite this opportunity, Accenture’s study shows only 37 per cent of CMOs view disruptive growth as very important, versus 44 per cent of CEOs; showing a lack of alignment on this issue and hampered opportunities for CMOs. As many companies look to create CGO roles, CMOs need to recognise the potential and be the ones to step forward to create the platforms that will catapult their business towards new opportunities. Looking at platform opportunities for growth is a necessary first step. As those most in touch with customer desires and demands, CMOs can harness that knowledge to drive new ways of satisfying them. To capitalise on this opportunity, Accenture Interactive believes CMOs must make priorities disruptive. They should give key consideration to meeting customers’ unmet needs or creating new needs; shifting from a product or services orientation to an outcome orientation with a frictionless customer experience. The primary role of marketers as CGOs will be to drive the disruptive growth that moves companies to own a greater share of each customer, as well as fostering new customers. When Nike furthered its business opportunities by placing a chip in a shoe to feed data about training to a consumer’s mobile device, many moving parts had to be coordinated. It was not just about marketing a new shoe – it was about hooking customers into a platform. Now, the Nike+ platform features everything from personalised coaching to social elements for friendly competition with other users, who connect via their own third-party devices like a smartphone or wristband. When it comes to disruptive growth, CMOs are at a crossroads. They have the clear opportunity to step up into the role of growth officer. However, if they don’t choose to actively take on the responsibility, they’ll be surpassed by others who can fill their shoes. Changes to the CMO role are coming whether CMOs meet them with open arms or not. Accenture Interactive sees the role evolving to focus on disruptive growth via digital platform businesses; an evolution which allows CMOs to be at the frontline. Company expectations aside, this is an opportunity no ambitious marketing executive wants to miss.